This is one of those posts that requires very few words. So I’m just going to get to it. Sriracha sauce on mac and cheese. Do it. 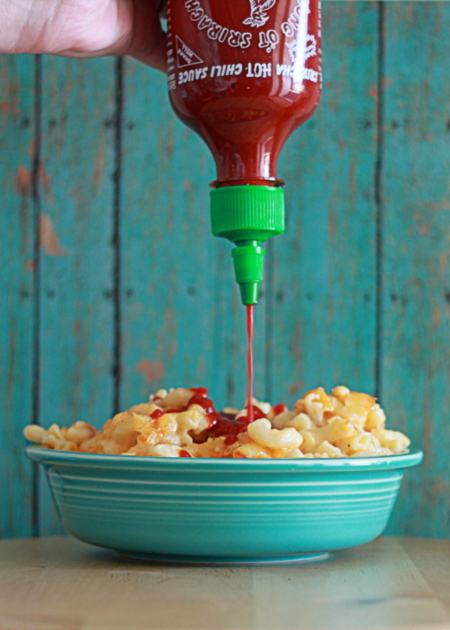 Since a kid (thousands of years ago)ketchup is what goes on my mac and cheese, always and still to this day. But Sriracha would be over the top, I never thought about that, and I use sriracha on everything else. Going to try this really soon, thanks for opening up my eyes.